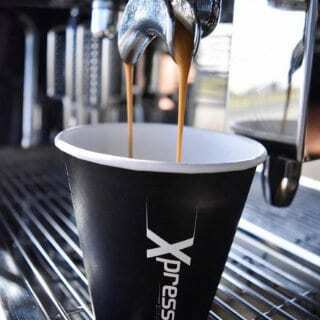 Xpresso Mobile Café is a premium mobile coffee cart franchise system. 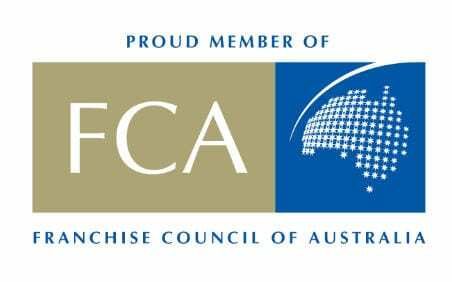 We work closely with our operators and suppliers to ensure Australia-wide customers receive the highest quality products and services. 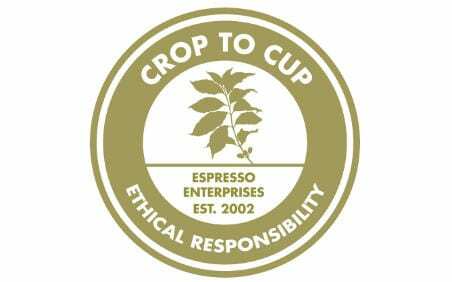 Our franchisees are supported throughout their coffee van journey to ensure every coffee we produce meets customer expectations. 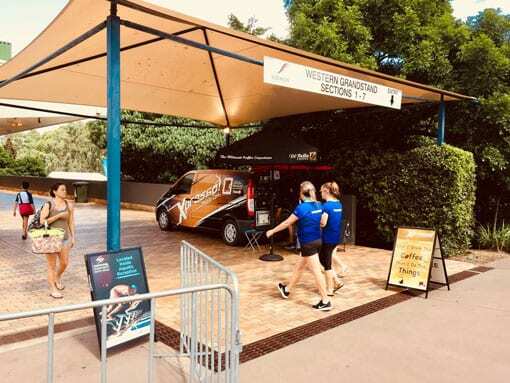 If you’re looking for a change from the typical 9-5 life and you want to open your own flexible business, a mobile coffee cart may be exactly what you’re looking for. Browse our website and let us know if we can answer any questions for you! 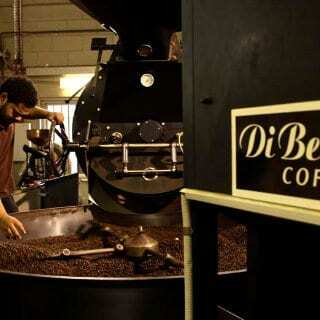 Di Bella Coffee is an award-winning roaster and supplier based in Brisbane. 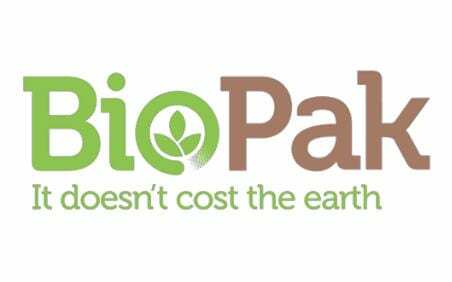 We choose to work with their equipment and products because they’re leaders in the market. When you open a franchise with us, you’ll receive training and support from Di Bella with priceless industry knowledge. 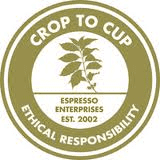 Each coffee van is stocked with high-quality, fresh food and beverages from a trusted national supplier. 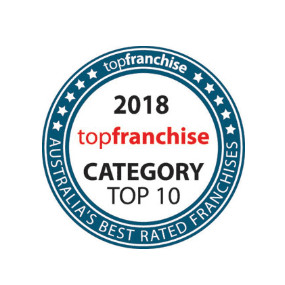 Supporting local business is important to us, which is why we help our franchisees connect and work with the community around them, stocking delicious and locally made food. Booking Coffee Carts for Your Event. 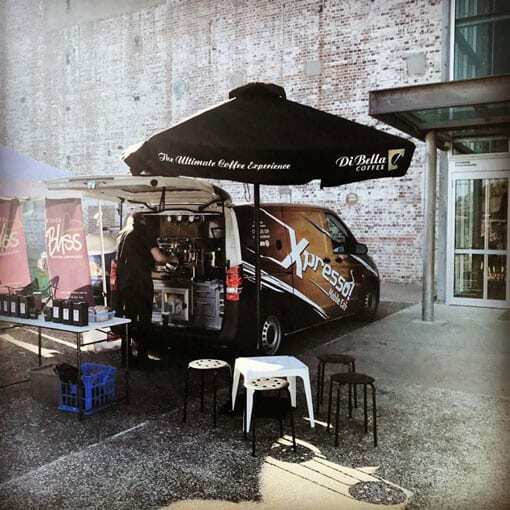 Choosing an Xpresso Mobile coffee van for your event means you’re supporting a hardworking, local business from your area. Explore your pricing package options and rest easy, knowing you’ve chosen fresh food and delicious coffee. Talk to our friendly team about regular stops to your place of business or events. Find all the information you need here to get started with your own coffee van franchise. We offer ongoing support throughout the process and a 3-week training system to ensure your comfort while starting your own exciting business venture. Call us today, we love a chat!